People who use the Linux OS can now convert PDF to HTML Ubuntu with a lot of ease using PDFelement Pro. This is one of the top PDF editors, which allows you to convert PDF files into several other formats, including HTML. With this tool, you can create awesome web pages from any PDF file that you have. This makes it easy to create HTML files, and it will keep the formatting intact. So you can create a complicated PDF file, and then create a HTML page that will dazzle anyone who comes across it. You do not have to worry about the quality of the text and images since they are kept intact after conversion. PDFelement ProPDFelement Pro is the best PDF to HTML Linux converter that you can find. It allows you to edit and convert PDF to HTML for Ubuntu with ease, making it very easy for you to get creative web pages, even if you do not know how to code in HTML. Start off by importing or creating a PDF file, and then convert to HTML using a few simple steps. It is a very powerful tool, and is easy to use, making it a breeze to create outstanding HTML pages. Easily convert PDF to HTML for Linux with PDFelement Pro. There are two ways in which you can do this. You will need to download and install the PDFelement Pro on your Computer. Launch the program, you will open the welcome page of the program and find the main features you wanted easily. 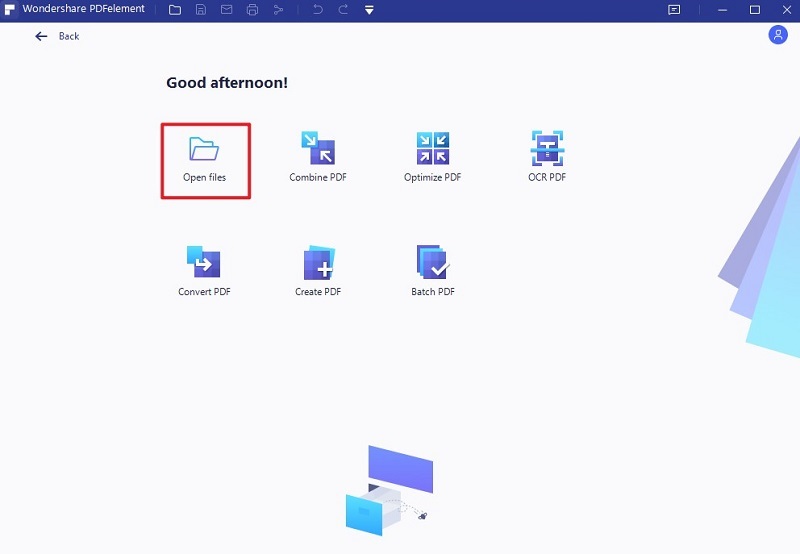 To import a PDF file to the program, you can click on the "Open File" button on the left side of the welcome page. Then you can select a PDF file from the local folder and import the PDF file to the program easily. Go to "Home" before selecting "To Other". Once done, select HTML so you can save the PDF file as HTML. Now add the destination folder to complete the process. Beginning with the welcome page, choose "Convert PDF". Get your PDF file from your computer before selecting "HTML". Now type in the destination folder and then convert your PDF to HTML directly. Beginning with "File", next choose "Preferences" from the new pop-up window. Now go ahead and choose "Convert" before finally choosing the "HTML" tab at the top. NOTE: You can make changes to the conversion settings before you convert the Linux PDF to HTML. PDFelement Pro allows you to get HTML from several PDF files. Go ahead and select "Convert" and then choosing the PDF files for your HTML project. To the right of the screen, choose "HTML" and then add the final destination folder. When the files have been loaded, choose "Start" and let the process continue. PDFelement ProPDFelement Pro is one of the best tools to convert PDF to Linux. It has several features which make it very easy to perform this task without compromising the quality or formatting of the resultant HTML page. Some of the top features of the tool are listed below. Create or convert – now you can create PDF files right from scratch and then convert them into other formats using this tool. Create PDF forms – The tool allows you to create and edit new and existing PDF files with ease. Digital signature – this allow you to add a digital signature to your work. This way it will be protected from undesired editing. User interface – this is well laid out and this makes the tool easy to use. 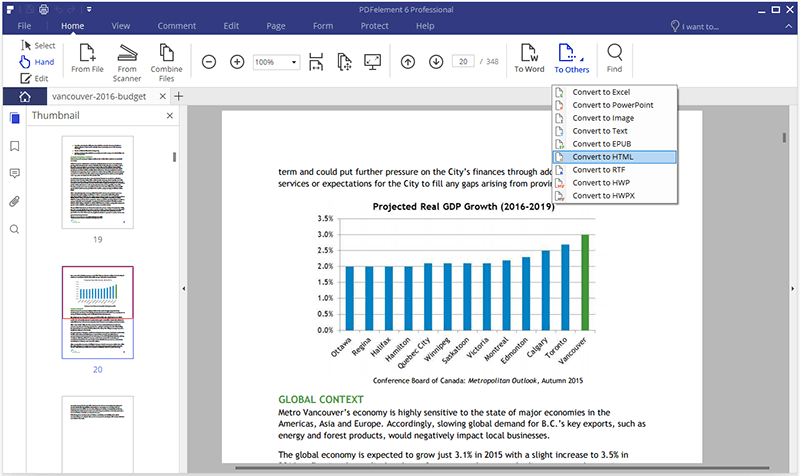 Edit & OCR – Now scan printed documents into PDF images, and then take them through OCR to get digital editable text.